There is no doubt that women’s football in Scotland is on the rise. 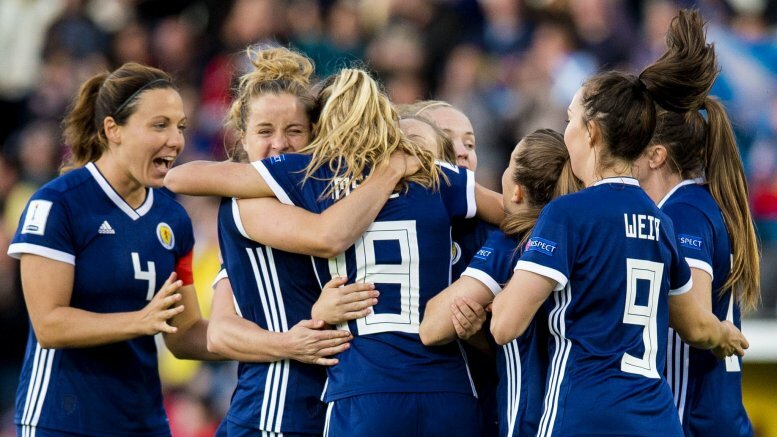 Back in September, the Scottish Women’s National Team made history by qualifying for the 2019 World Cup, a momentous achievement felt right across the country (more of that later). We have previously established that Twitter is a crucial location for football fan conversation, so we fired up Brandwatch to find out how fans reacted to the women’s team’s success. Looking at conversation on social media, we found compelling reasons for brands to get right behind the Scotland Women’s National Team. This could provide opportunities for positive brand recognition, as well as raising the profile of women’s football further to ensure an even brighter future. 30th August: World Cup qualifier against Switzerland. 4th September: World Cup qualifier against Albania and subsequent qualification for the FIFA Women’s World Cup (by far the largest spike in conversation). 26th September: News that the Scottish Government is providing funding for the Women’s Team which will enable them to train full time. There is therefore a clear interest in the team and an appetite for conversation about them, particularly around key events and news stories. As we will see, this conversation is engaged and positive. A comms strategy could be established around such stories and events (e.g. key fixtures) to get people talking even more, enabling any brands involved in the conversation to get a piece of the action and attain positive brand recognition. Normally in a Scottish dataset, we would see online conversation focused predominantly around the large population centres (Central Belt, Aberdeen, Inverness etc.). However, as indicated by the above map, conversation about the Scotland Women’s National Team has a much broader spread, including chat in the Highlands and Islands. This news unites and inspires people across the nation, providing a fantastic opportunity for any brands that want to reach Scotland and its communities as a whole. The story of the Scotland Women’s National Team’s recent success is one of emotional highs and lows. Fans are emotionally engaged with this story, sharing their hope, agony, surprise and excitement over the last couple of months of Scotland’s football journey. Regardless of how the team does at the World Cup, this is a powerful, emotive story, which provides a wellspring of fan emotion and engagement that brands can, if positioned correctly, authentically tap into. Scotland Women’s Team matches are affordable, safe and provide role models and inspiration for children. There is a fantastic opportunity here to promote the game to schools, youth organisations and parents as a wonderful day out for the whole family. The Scottish Government has received praise for this funding boost on Twitter, which could mean that a brand who provided similar financial support would also get positive recognition on socials. Their support could make it possible for the team to achieve even greater success – if the team can qualify for the World Cup while also juggling working commitments, you have to wonder what can be achieved with the ability to train full-time. This could be an opportunity for a brand to contribute, practically and directly, to the success of Scottish women’s national football. Some of these posts include families anticipating attending the matches together, particularly parents and daughters, emphasising the fact that this is seen as a unique family-friendly occasion. This also indicates that Scotland will have an audience for the Women’s World Cup, providing opportunities for brands to play a part in the action. The rise of the Scotland Women’s National Team provides an exciting commercial opportunity, both for the team and for brands. The key features of the conversation surrounding the team are the broad geographic spread of the conversation and the fact that fans see the game as being particularly family-friendly. A collaboration with the team could therefore be an attractive prospect for brands who wish to target Scotland as a whole, or for those who have a natural affinity with families and young people. Social media listening can provide valuable insights to inform a brand partnership strategy to help ensure that such a collaboration is as successful as possible. By determining key features of the conversation, such as geographic spread, emotions and key concerns, it can provide guidance on the types of brands with which the team could partner, as well as on the specific comms strategy to be put in place once a partnership is determined.